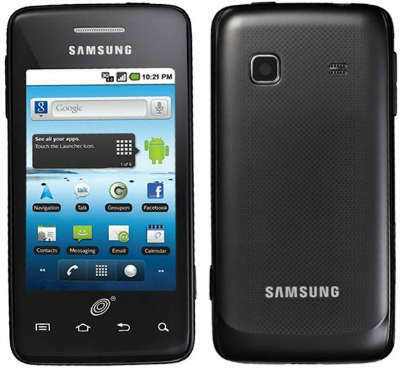 Today I received word that Straight Talk is (finally) releasing their first Android phone, the Samsung Galaxy Precedent. You can the phone right now through the Straight Talk web site. The Samsung Galaxy Precedent retails for $149 (to pay less than this, see below). 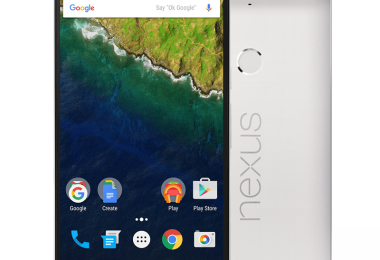 This phone works with the $45 (or less) a month “Unlimited Everything” service. Keep reading for more information on the phone and some things to think about before you run out and buy. The official model of this phone is the “Samsung M828C”. It comes with the Android 2.2 “Froyo” operating system. It contains a 800MHz processor, 3.2-inch touchscreen display (320 X 480), 2 megapixel camera with video recording capability, 384MB RAM, microSD card slot to allow memory expansion to 32GB, Bluetooth, 3G, micro USB 2.0, 802.11 Wi-Fi capabilities, GPS, and a 3.5mm (regular size) headset jack. Since this phone is an Android phone, you will have access to many useful applications in the Android Market, including driving navigation through Google Maps. Originally when this phone launched, I saw that it was a CDMA phone and became very excited. Having a Verizon-backed, Android Smartphone with roaming for $45 a month would have been an incredible deal. However, it appears that Straight Talk did not choose to partner with Verizon for this phone, and instead chose to use the Sprint network. Because Straight Talk chose to use the Sprint network for this phone, the coverage on this phone will likely be similar to the coverage of Virgin Mobile or Boost Mobile who are also Sprint resellers; it will likely only work in major metropolitan areas + on most freeways. This is a disappointing break in the coverage that Straight Talk normally provides; typically they rely on Verizon+roaming or AT&T+roaming, two carriers that have outstanding coverage areas. Since this phone is on the Sprint network, you should also look at similar phones offered by Virgin Mobile and/or Boost Mobile as well. Both Boost & Virgin offer different “tiers” of pricing that can allow you to use a smartphone on their network for much less (if you are an “average” mobile user and don’t use an extraordinary amount of minutes/texts/data). The phone is running Android 2.2, and it might be running it forever: It is possible that Straight Talk or Samsung may never release an update for this phone. Since this is Straight Talk’s first smartphone, we don’t know how they will handle upgrades going forward. Straight Talk’s terms of service prohibit certain types of activity with their “unlimited” data plan. Some of these activities may include: streaming lots of video or audio, downloading movies or other large files, using P2P software to download files, and possibly also using large amounts of VoIP programs such as Skype or Google Voice. However, since you do have unlimited calling, you should be able to use that most of the time, unless you make a lot of international calls (and if you do, Straight Talk does have an add-on for that). Smartphones can be incredibly useful; they can save you time & save you money. Having access to the web and to e-mail wherever you are can be a real help. Prices can be compared, directions and phone numbers can be easily accessed, documents can be retrieved, books can be read, etc. If you have been “on the fence” about a smart phone, this is your time to act! With no commitment to a contract, no data overage charges possible, a low phone price and the possibility to sell the phone if it just doesn’t work for you, there’s not a lot of downside to this deal. 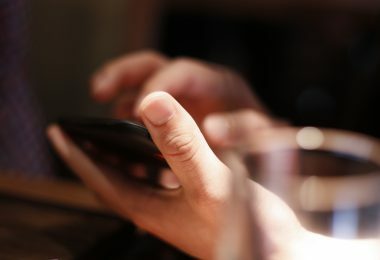 If you are currently in a smartphone contract, this deal can undoubtedly save you money over what you are paying today. The only people I would recommend not buy this phone are people that do not have a smartphone and do not want a smartphone (for whatever reason), or people that need an advanced smartphone (very few people fit into this category – you might think you need that new shiny HTC device or Apple device you see on TV – but let me be the first to tell you – if you are an average user you won’t really use all those features!). If you do decide this deal is for you, don’t delay – these phones will be hard to get, demand will be very high. Go to the Straight Talk website to order today! 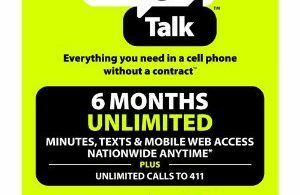 Click through to the Straight Talk site and order the phone + a $45 service card to get you started. You just got a Samsung Galaxy Precedent Android phone for $129.60! I have heard that the samsung galaxy precedent might be on the sprint network without roaming. Are you sure that is will be on the verizon att network? there is a big difference. Nelle, Thanks for the comment. After some further investigation it appears that the phone will actually run on the Sprint network. This will translate into a smaller coverage area, which should be of concern for anyone considering this phone. Rumor is that Verizon didn’t want to open up their network to a Value smartphone that could take away customers from them. Kristy, I agree – this was a big let down to hear that the phone would be operating on the Sprint PCS network. 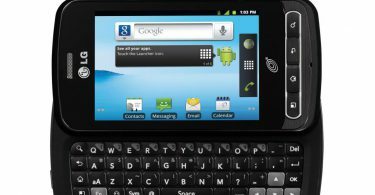 There are already other carriers (Boost, Virgin Mobile) that offer Android phones on the Sprint network with no-contract – it would have been much nicer for many people if this phone ran on the AT&T or Verizon Nationwide networks. Let me know if you have any questions along the way on the quest for the right phone at the right price – there are so many choices it can be challenging! I have used Google voice for years.The only number I give for out is my Google number. I thought that Straight Talk using the Samsung galaxy powered by ANDROID–GOOGLE I would be able to use Google Voice on this phone. When I put my Straight Talk number( the same number I had ported) into my Google settings and listed the carrier from Verizon to Sprint I was not able to regester this phone using the code google provides and has you type the code into your phone hit call and the phone should register. Instead the code from google to sprint says google voice is forbidden on this phone. Without having google voice mail on this phone and Everyone having my google number THIS PHONE IS OF NO USE TO ME OR ANYONE IN MY SITUATION UNLESS Google voice can some how work????Help!!!! Sorry to hear of your situation! I believe that you can use Google Voice with Straight Talk’s Android offering. However, I do not believe you can use the advanced integration features of Google voice that you could use if you had a Sprint device like the Nexus S. My suggestion would be to have your Google voice number forward to your cell number. I’m guessing that it might not be possible to use the Google Voice application on Straight Talk to be able to make outbound Google Voice calls (so that your Google Voice number will show up on the caller ID when you call someone else). However, give it a try and see how it goes – and let us know! If you want premium Google Voice features, I believe you are going to need to return your Straight Talk Android phone and get the Nexus S (or similar) from Sprint. I have a question I have a boost Mobile zte and I have a slot of a sims card would I be able too switch it too straight talk??? This probably won’t work on Straight Talk. Go to go to Straight Talk SIM and enter your IMEI to check. Thanks for your suggestions. I RETURNED THE STRAIGHT TALK ANDROID PHONE. I WAS NOT ABLE TO SET UP GOOGLE VOICE OR MORE IMPORTANT GOOGLE VOICE MAIL,I WAS NOT ABLE TO GET AN APP, SIMPLY PUT THIS PHONE IS NOT GOOGLE VOICE FRIENDLY. The main reason for returning this phone was the Sprint Net work.I have used s/t for three years with excellent results, using Verizon NET WORK. I BELIEVE S/T MADE A VERY BIG MISTAKE USING THE SPRINT NET WORK. MY SUGGESTION TO STRAIGHT TALK IS KEEP THIS SAMSUNG ANDROID PHONE,AND USE VERIZON OR #2 AT&T AS A CARRIER,EVEN IF THEY HAVE TO CHARGE MORE MONEY.IF S/T DOESN’T DROP SPRINT THEIR REPUTATION WILL GO DOWN THE TUBES. JUST MY THOUGHT!!!! Mr. Rebates has an A+ rating with the BBB. They have always been reliable for me, I have been personally using them for years, and have gotten a significant amount of cash-back over that time period. I use them for any purchase I can! As a current user of this phone, I would not recommend that anyone use this phone UNLESS you are in a major metro area, or will spend a majority of your time in one simply because the sprint network is largely more than sub-standard. This link here, http://www.straighttalk.com/Coverage is the straight talk coverage map for android and non anroid services and is very depressing. Now I have a $150 phone that I was hugely excited about getting that gets absolutely no service where I live and work.. Truly depressing… Does anyone know if there are any plans to correct this in the near future??? I have been using Tracfone for years in order to avoid the ever-increasing phone/plan costs that other carriers’ customers are subjected to. Unfortunately, Tracfone’s phone selection is lacking, as are the features available on their phones. I have been hoping that I would someday be able to find an Android-powered phone with a prepaid plan, so I was thrilled when I found out that Straight Talk would have Android phones. After learning that the coverage is almost nonexistent in an area where I will often use my phone, I am extremely disappointed. Not only in Straight Talk for making such great phones essentially impossible to use for most people, but in companies like Verizon and AT&T. Their customers pay ridiculous amounts of money for the right to purchase and use phones on their networks, and people like me, who can’t afford to splurge on cell phone usage, apparently cannot even find a good deal on a useful phone. It’s really, really disappointing, all because Verizon doesn’t want to lose customers (to a smarter, more customer-oriented company). Well, it’s too bad Verizon isn’t offering the things I need at a price I can afford, or I might be a customer. For now, I guess I’ll just have to wait until Smart Talk or another prepaid service offers what I have been waiting for: a smartphone with sufficient coverage and an affordable price. I hope it doesn’t take too much longer. Jason, Try getting a new charger on eBay. IF that doesn’t work then replace your phone. You can sell the old one on eBay “As-is” to someone that is interested in fixing it. Hi, I have 2 nextel motorola i1’s can I have these phones activated on straight talk or net 10 or some other wireless carrier that is prepaid??? No you cannot activate Nextel phones on any prepaid carrier that I know of. However, you can sell them on eBay or Craigslist and then just get some new phones from Straight Talk – they have phones starting at $0 on their web site. I have an LG marquee, and got a crappy Tracphone, Six applications and it is full. That’s unacceptable. I hear no Sprint phones, then I hear some sprint phones. I really like to use the Marquee. I have an HTC ONE on the Sprint network will this work with straight talk?